The 2019 Silverado will also be physically larger than than the current model, including a wheelbase up to 3.9 inches longer. At the same time, it is upto 450 pounds lighters. Chevrolet offered more information today regarding the forthcoming all-new 2019 Silverado full-size pickup truck. In addition to the 4.3-liter V6 and the 5.3 or 6.2-liter V8 engine options, the truck will be available with a new 2.7-liter turbocharged four-cylinder engine, developed especially for the Silverado platform. The new four-cylinder turbo engine offers a 22% improvement in torque over the V6, as well as improved fuel efficiency and more power-to-weight than the V6. All this is achieved with one of the most technically advanced engines ever designed for a truck. The new 2.7-liter engine uses a special dual-volute turbocharger for instant throttle response, as well as cylinder deactivation, dynamic cam timing, and cam profile changes based on power needs. The engine also features an electric water pump, reducing drag on the power system. With a base compression ratio of 10:1, the new engine is rated at 310 horsepower and 348 pound-feet of torque. With the new engine in the full-size Silverado, the truck drives like it has a much larger engine. Towing capacity with the four-cylinder has not been released, but should be substantial. With the new engine in place, the 2019 Silverado will be up to 450 pounds lighter than the 2018 model. 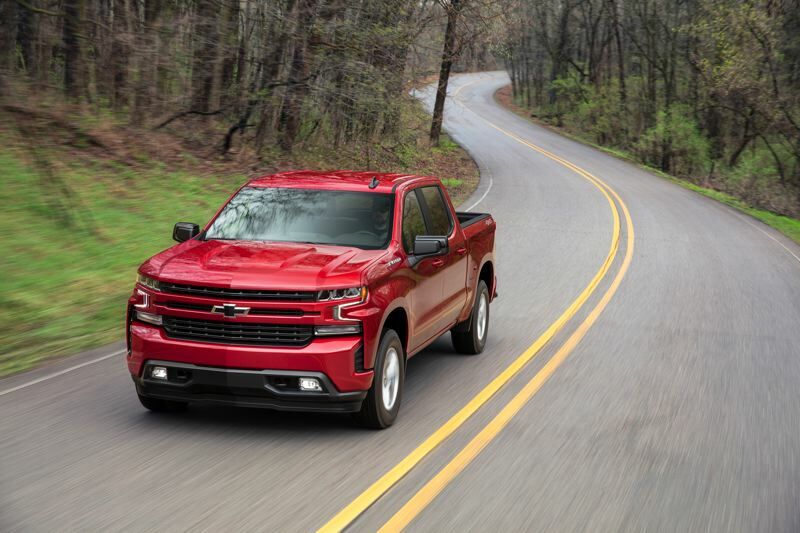 The 2019 model also features a redesigned suspension that rides smoother and offers sharper steering than the outgoing Silverado. Buyers who opt for the 5.3-liter or 6.2-liter small block V8 engines will see improved fuel economy starting with the 2019 model year. 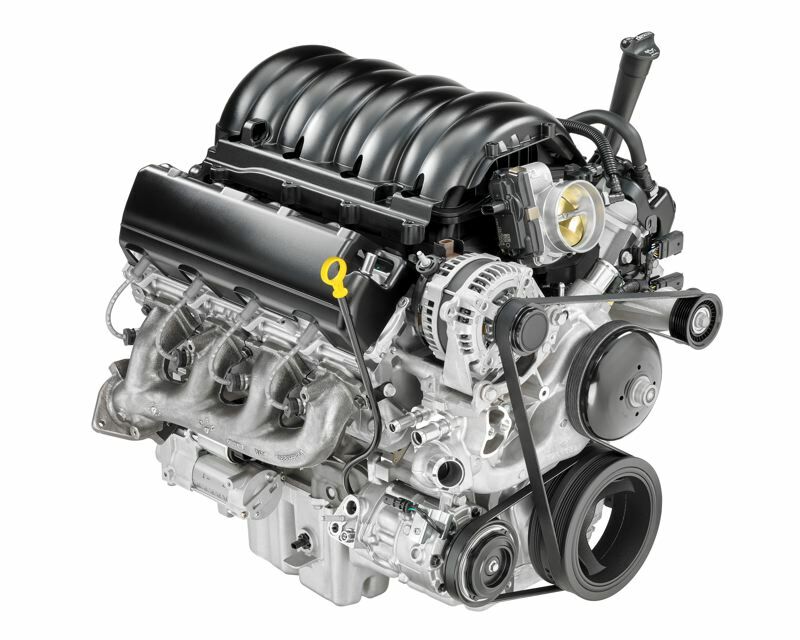 The existing Chevrolet V8 truck engines can deactivate four cylinders and run as V4 engines when power needs are low, but the new models feature an advanced system that allows the engine to run on one cylinder, or to cut fuel entirely when conditions allow. The new system adjusts to torque needs once every 12.5 milliseconds, using a variety of cylinder deactivation patterns to run as efficiently as possible while preserving the ability to engage all cylinders immediately as needed. The system is transparent to the driver, however, thanks to a new vibration smoothing technology in the transmission. The 5.3-liter V8 is rated at 355 horsepower and 383 lb-ft of torque, while the 6.2-liter engine carries a rating of 420 horsepower and 460 lb-ft. The 2019 Silverado will be offered in 8 trim levels, and each trim comes with a choice of engines. Work Truck, Custom, and Custom Trail Boss trims will be offered with the 4.3-liter V6 or 5.3-liter V8. High-volume trims including the LT, LT Trail Boss, and RST will be offered with the 2.7-liter turbo engine or the 5.3-liter V8. The top LTZ and High Country luxury trims will be offered with the 5.3-liter or 6.2-liter engines. "A major focus of the next-generation Silverado is expanding the range of choices," said Tim Asoklis, chief engineer for the Silverado 1500. "With all-new engines and a broader model range, there's a Silverado for everyone, whether you're buying your first pickup or your tenth." 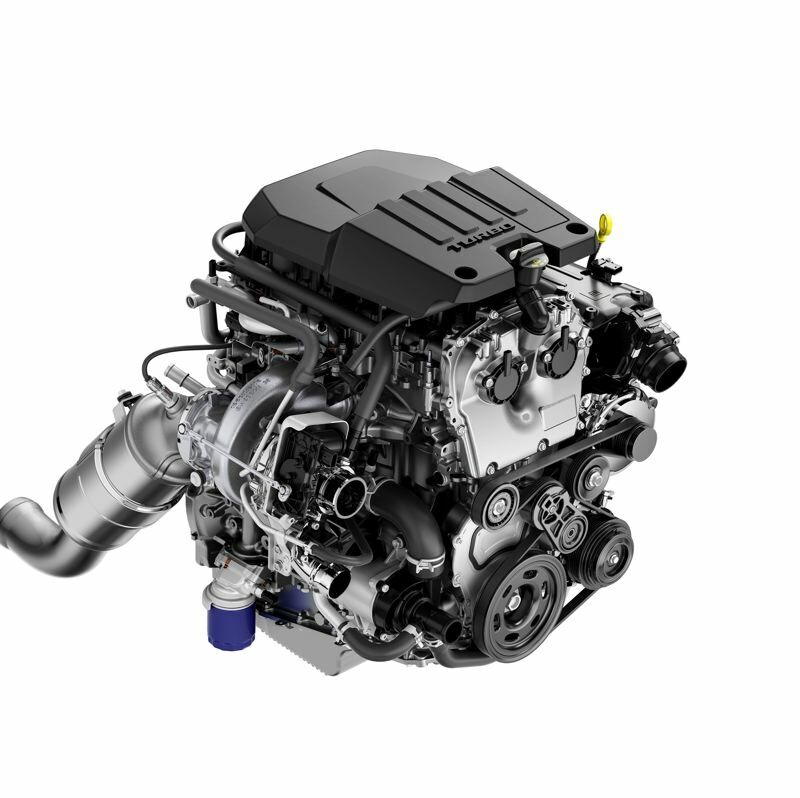 In addition to the gasoline engine options, an all-new, Duramax 3.0L inline-six turbo diesel will become available in early 2019. The 2019 Silverado will be physically larger than than the current model, including a wheelbase up to 3.9 inches longer, while overall length is growing by only 1.6 inches. The additional space has mainly been allocated to the interior of the cab, although there is more cargo volume available in the bed. At the same time, the 2019 Silverado also lighter, weighing up to 450 pounds less than the current Silverado for crew cab V8 models, owing to extensive use of high-strength steel and advanced manufacturing techniques. Silverados with other engines also see weight improvements. "With less weight and less wind resistance, we improved the driving dynamics without sacrificing fuel efficiency," said Asoklis. "The next-gen Silverado is a bigger truck, but the chassis feels more responsive and acceleration is more pronounced." The 2019 Silverado includes a new side profile that enhances aerodynamics, plus an integrated spoiler at the rear edge of the cab that directs air over the bed and onto the tailgate, reducing wind drag. Most trim levels also feature active aero shutters integrated in the front grille that close to reduce wind drag and open to provide improved engine cooling when needed. Overall, engineers expect a 7 percent increase in total aerodynamic efficiency for the 2019 Silverado. The 2019 Silverado is expected at area Chevrolet dealers in the fall of 2018.